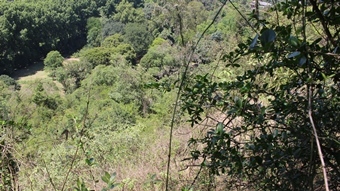 The Garden is situated in the Ngongoni Veld type. Although little natural vegetation remains, the Midlands Meadow grassland in the natural area is dominated by the grasses Hyparrhenia hirta and Aristida junciformis. A number of mammals shelter in the natural forest and wetland and can sometimes be seen in the grassland and other more open parts of the Garden. These include blue duiker (Philantomba monticola), Cape clawless otter (Aonyx capensis), greater cane rat (Thryonomys swinderianus), and small-spotted genet (Genetta genetta). Although the animals themselves are not usually seen, there is evidence of bush pig (Potamochoerus porcus) foraging. 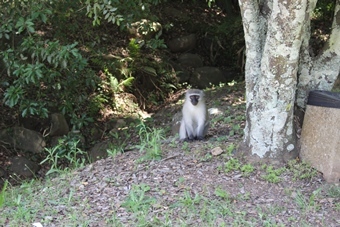 The common mole rat (Cryptomys hottentotus) often feeds on clivias and other bulbous plants in the Garden, and vervet monkeys (Cercopithecus pygerythrus) are frequent visitors. A number of species of bats also reside in the Garden. These mammals are very shy, and are usually seen at night or in very quiet parts of the Garden. If you see other animals on your visit, please let us know. There are over 180 bird species recorded in the Garden. This high diversity occurs because of the great variety of habitats provided, from formal display gardens and lawns to wild indigenous forest. 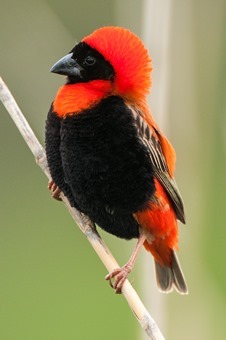 Shrike, Cape Robin, Black-headed Oriole, Thick-billed Weaver, Masked Weaver, Olive Thrush, Gymnogene, Long-Crested Eagle and African Crowned Eagle. 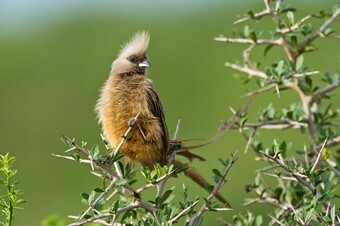 Birds that are not often seen in the Garden, which can be found with careful searching, are the Buff-Spotted Flufftail, Tambourine Dove, Blue-mantled Flycatcher, Half-collared Kingfisher, Grey Cuckooshrike, Orange-breasted Bush Shrike, Green Twinspot, Red-fronted Tinkerbird, Bush Blackcap, Chorister Robin-chat, White-starred Robin, Barratt’s Warbler, Broad-tailed Warbler, Croaking Cisticola, and Malachite Sunbird. In 2007 an unusual sighting of a Pennant Winged Nightjar was made. The Turraea Trail, with its indigenous forest, thicket and lake habitats, provides opportunities for seeing the greatest diversity of birds in the Garden. Look out for waterbirds on the lake, and take time to sit on a bench and wait for forest birds to appear. 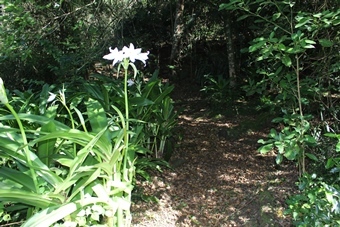 Visit the bird plant section of the trail and see a range of indigenous bird-attracting plants doing their job. 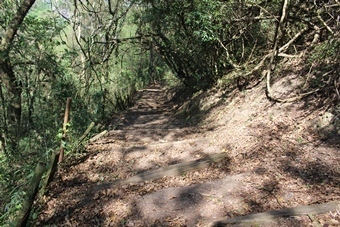 The thicket and tangled scrub on the trail provide an excellent habitat for birds such as Cape Robin, Barratt’s Warbler, Blue-billed Firefinch and Terrestrial Bulbul. You’re likely to see Dabchick, Reed Cormorant, Moorhen and Giant Kingfisher on the lake. The Forest Trail goes through the Garden’s indigenous forest, and provides opportunities to look out over the Garden from the trail. A wide range of forest birds can be seen, and often birds of prey such as the African Crowned Eagle, African Goshawk and Black Sparrowhawk are spotted in the forest. Other special forest birds are the Forest Weaver and Chorister Robin-chat. The formal old Display Garden, with its large trees, many flowers and expansive lawns, is home to a wide variety of birds. Sit on a patch of lawn in a quiet spot, and you’re sure to see plenty of birds. Species to look out for are Olive Thrush, Black Sunbird, Little Sparrowhawk, Hadeda and Paradise Flycatcher. 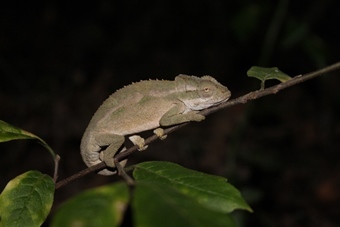 One of the special reptile residents is the black-headed dwarf chameleon (Bradypodion melanocephalum). This tiny 10 cm-long creature can sometimes be seen sitting at the ends of branches or grass stems along the forest margin at night. 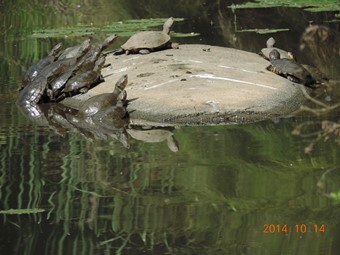 Other reptiles recorded are the marsh terrapin, water monitor, tree Agama, Cape dwarf gecko and tropical house gecko. Snakes occurring in the Garden are the red-lipped herald, dusky-bellied water snake, night adder and Natal green snake. The wetland is home to the longfin eel, scaly, bowstripe barb, southern mouthbrooder and banded tilapia. The Garden is also rich in frog life because of the extensive wetland. The guttural toad, bronze caco, common river frog, painted reed frog, yellow-striped reed frog and the Natal tree frog all occur here. Comprehensive lists of butterflies, dragonflies and damselflies have been drawn up during a number of studies by the University of KwaZulu-Natal. 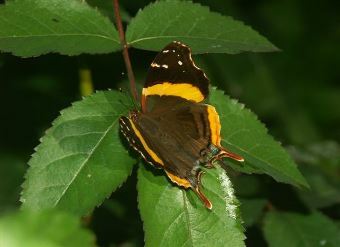 One hundred and seventeen (117) butterfly species have been recorded and the Garden has been acknowledged as a valuable refuge for many species. 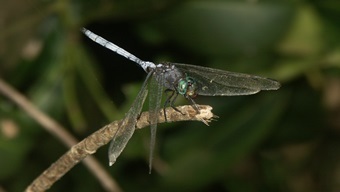 Dragonflies and damselflies have been equally well documented, and many of these species can be seen along the Dragonfly and Damselfly Trail from January to May. Books are available to better understand these creatures at our entrance gates at an affordable price. Twenty seven (27) species of slugs and snails have been recorded since 1906 in the Garden. 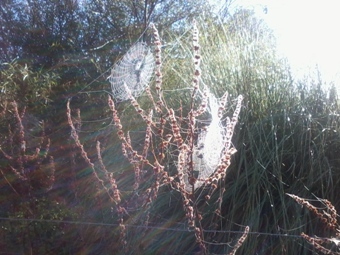 Among many interesting spiders found here is the rare bolas spider that catches its prey in a most unusual way. The large female rests during the day on a piece of grass, where she looks just like a grass seed-head. 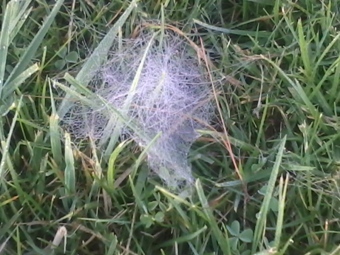 In the evenings she ‘wakes up’ and spins a single silken thread between two grass stems. Hanging from this line she constructs a ‘bolas’ (a blob of liquid silk hanging from a silken thread). This bolas is then whirled rapidly through the air and seems to attract moths. 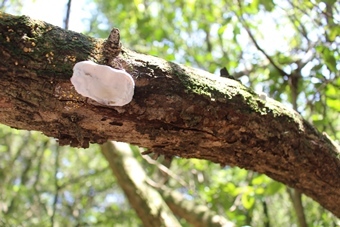 It is thought that the moths are attracted to the smell of the bolas, which may resemble the smell of a female moth. The net-throwing spider makes a small web which it holds between its four front legs and throws it at prey that passes close enough to set off a special trip line. The bird-dropping spider resembles a bird’s droppings and sits on a leaf waiting for unsuspecting prey. 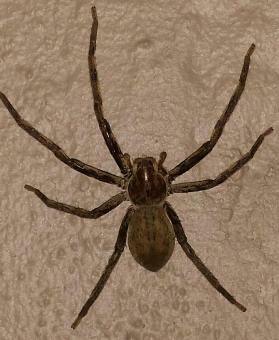 Common bark spiders set up their circular webs at night, and take them down in the day time. When not in their webs, bark spiders sit still on a branch and look so much like a piece of bark that few people notice them at first glance.